...but the reality is not as macabre as that. Is is, however, quite wacky. Sam Wilkinson—a former intern at NASA and Sploid reader—explains this spooky picture in this article about awesome stuff in space that he sent for publication. There are a couple of man-made objects in space that almost everyone will know about: the International Space Station, the Hubble Space Telescope, Mars Science Laboratory Curiosity and maybe Voyager I and/or II. However, there is so much other man-made stuff in space it's crazy (and it's actually starting to become a problem). This abundance of space-faring objects can make it hard for some truly awesome experiments, missions etc to get much exposure! I'd like to fix that with a recurring blog post series called "Awesome Stuff in Space". Since this is the inaugural post, I'm going to cover two of the coolest lesser-known things currently in space, as well as an awesome example of recycling. When asked what the most precise method currently available for determining the position of a place on earth was, my first response would probably be military-grade GPS, but I'd be wrong. In fact, the most precise way to determine your position on earth is by bouncing a laser beam off of what is essentially a disco ball in space. 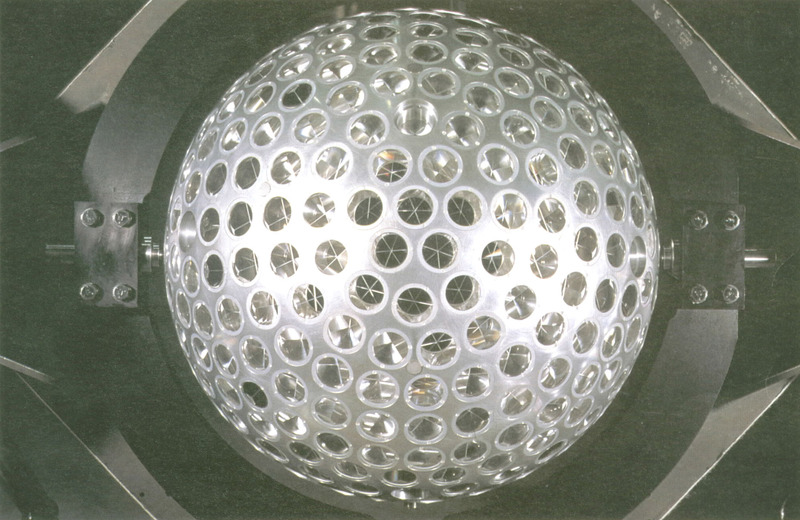 That disco ball would either be LAGEOS-1 or LAGEOS-2 (LAser GEOdynamics Satellite), two 60cm wide spheres each covered in 426 retroreflectors (a special mirror that reflects light back the way it came) currently orbiting the earth at 5,900km above us. By measuring the time taken for a laser pulse to travel to a LAGEOS satellite and back, the distance between the ground station and the satellite can be calculated to a very high degree of accuracy (~1 inch for thousands of miles). Since the orbits of the LAGEOS satellites are very stable, their positions can be determined to a high degree of accuracy. This coupled with the distance between the ground station and the satellite can be used to determine the precise location of the ground station. There are ground stations performing these measurements in many countries, and the results are used to study tectonic plate movement by groups from around the world. One of my favourite statistics on the solar system is this: approximately 42% of the mass of the asteroid belt is made up from just two objects, the dwarf planet Ceres and the asteroid Vesta. These also happen to be the two main objectives for the spacecraft Dawn, launched in September of 2007. Dawn has already travelled to Vesta, and is currently en route to Ceres. The study of Ceres and Vesta will greatly contribute to our understanding of the formation of planets. Since Ceres and Vesta are the two largest remaining protoplanets (planetary embryos) in the solar system, the observation of these objects will give us a peek at the earliest stages in the formation of the solar system. What makes Dawn even more special, aside from it being the first craft to travel to both Vesta and Ceres (hopefully), is that it is NASA's first purely exploratory mission to use ion thrusters as its sole mode of propulsion. The concept behind SuitSat-1 is quite simple, put some simple electronics (radio communications system, telemetry) into a Russian Orlan spacesuit, then throw it out of the airlock. 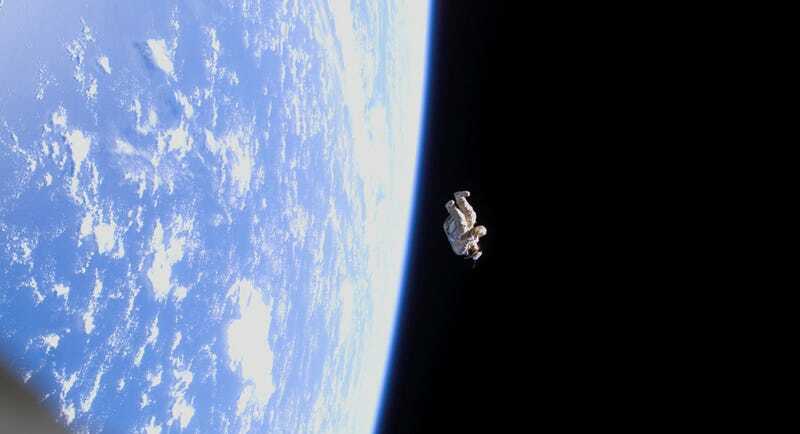 According to Frank Bauer of NASA's Goddard Space Flight Center, "SuitSat is a Russian brainstorm, some of our Russian partners in the ISS program … had an idea: Maybe we can turn old spacesuits into useful satellites." Aside from broadcasting voice messages from students around the world, and some telemetry data, SuitSat-1 also looked really eerie. Do you have other really cool articles for Sploid? Send them here.